For so many animal lovers, starting an animal rescue or sanctuary is on the list of things they most want to someday do. For my husband and I, this was something we really wanted to do now, with our young family, and not after we’d hit our retirement years. It hasn’t been easy, but it has been rewarding. For those of you who have this kind of dream on your bucket list, here are some tips on what you need to think about based on what we’ve learned along the way. Over the past two decades, my husband and I have visited animal sanctuaries of all kinds, including those for pigs, donkeys, farm animals, and even baby elephants and non-human primates, and these experiences inspired us. To us, providing day-to-day care for rescued animals seemed like the most direct and rewarding way to help animals. I should mention that my husband is a veterinarian, and I am a policy analyst for an animal protection organization. Four years ago, we along with our two children finally embarked upon our dream of having our own sanctuary. 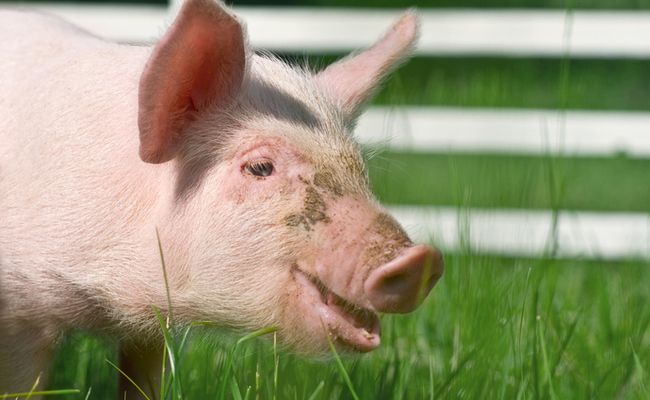 Although we love dogs and cats, what we most wanted to do was to provide lifetime retirement for farm animals. (Note: It’s important to have some experience with the type of animals you want to rescue or, if you don’t, make sure you educate yourself about their care and handling first.) We moved from our home in the New Jersey suburbs and bought a farm in semi-rural Pennsylvania. Since then, I have learned a few things that I had not thought about before. These are all things you’ll need to consider if you also aspire to have a rescue organization or sanctuary, whether for companion animals, farm animals or other types of creatures. Our farm has been a farm for a very long time, so we did not need to acquire any permits that could have been needed if we were creating a new operation that involved maintaining a large number of animals or unique animals. Towns often have restrictions on the numbers and types of animals allowed on properties, so make sure you research this ahead of time. You may need to consult a legal advisor. We are a sanctuary where animals come to live out their lives versus a rescue that adopts animals to the public. We knew that learning to say farewell to animals and simultaneously trusting people to take proper care of them would be very challenging for us, so we opted to offer forever homes to our rescues. We have children, companion animals and jobs. We have learned that if we acquire too many animals, it is impossible to manage everything well, and it quickly makes life stressful and unfulfilling. So we try hard not to bite off more than we can chew. For now, we provide the daily animal care ourselves. We have four large pigs, four sheep, two goats, three chickens and one cat who lives indoors only in our barn. One of the most difficult aspects of having a sanctuary is having to say no to people looking to place animals. It is important to recognize when you will be stretched beyond your means, whether it’s having the time and skills to provide good care or the actual space to house an animal. It’s also vital to know when you have a good balance in terms of the animals’ social lives. It’s not just about giving them shelter and food, but also about making sure they have a home and are happy. Introducing new animals can go smoothly, but it takes time and patience. Consider how adding new animals to a group or herd will affect the new individuals and those who you already have. Before taking in any animal, especially those beyond cats and dogs, make sure you have budgeted enough for medical needs and consider your proximity to specialized veterinary care. We are lucky to live relatively close to a major veterinary medical school, as well as a specialty veterinary hospital with, in our case, a traveling farm animal veterinarian. For companion animals or exotics, you might need access to board-certified specialists. Then consider your ability to transport any animals should they need hospital care. For example, our 1-year-old pig, Ruby, who weighed several hundred pounds, suddenly became blind and sick. We did not anticipate an illness in such a young animal, and finding transportation for her in an emergency situation was difficult. This was extremely stressful considering her size and the urgency of her condition. With smaller animals, like dogs, cats or exotics, you may need to make sure you have appropriately sized carriers on hand and that they have been adequately trained and handled for safe and stress-free transport. When caring for animals, particularly when they have special medical needs (which may be why you have them in the first place) or simply because you are caring for a large number of animals, you need to make sure you have enough resources. Medical emergencies, facility maintenance and repairs, in addition to daily operation costs (e.g., water, electricity, food, bedding, etc.) can quickly add up. We are not currently a nonprofit organization; although, we may explore this in the future. For us, operating under a board of directors would have added another level of complexity to our enterprise; although, it does allow you to solicit more funding and donations other than the random gifts of kind people. Anyone thinking of starting a sanctuary should consult with relevant financial advisors to see which scenario makes the most sense for you and your goals. Whether or not you can fundraise, however, it’s important to set money aside for unexpected events. You don’t want to get into a situation where your bills are higher than your income or donations, or your animal care decisions are limited by your funds and not what’s best for the animals. Consider your lifestyle and daily commitments as they are now and add at least one hour of work to the beginning and end of your day — every day, even if it’s a holiday or during a blizzard or on a 100+ degree day. Depending upon the types of animals you have, each stall, cage, enclosure or litter box might need to be cleaned daily. Providing food, water and socialization takes time. For our family, even a day trip can be tricky. If we get home at midnight, all our animals still need to be cared for. In addition, you might learn that other family members, like your children, are not really as interested in helping with barn chores as you had hoped (or are too young to do so safely). Also realize you are in this for the long haul. If you are committed to keeping an animal for life, then that time will be measured in years. We have been fortunate to have caretakers (who are also veterinary technicians) who are willing to stay on-site and handle morning and evening care-taking tasks. However, it is not easy to line up people who share your respect and care for animals, and are strong, reliable, thorough and available to care for them when you need them. We have had several offers from people who “love animals,” but it takes quite a lot to manage, for instance, four large pigs who are lovable yet large and powerful. It’s the same concern with dogs, cats and exotics. These considerations are by no means exhaustive, nor are they meant to dissuade anyone from starting their own rescue. Taking in animals and watching them thrive in their forever home is extremely fulfilling. They each have their own sad stories from before they came to us, and we are proud that we have such a positive impact upon their lives. Starting an animal sanctuary can be extremely fulfilling — just make sure you know what you are getting into before you take the leap! Best wishes and luck to people who do this important service. I could open a sanctuary for animals, but could not handle the losses.